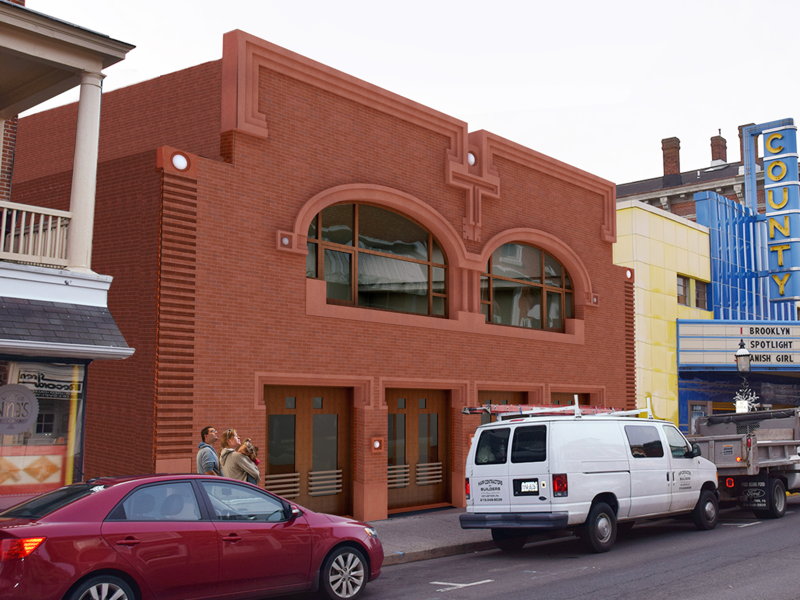 The municipality of a historic Pennsylvania district called for a proposal for a new 4,000 square ft. non-profit community theater featuring a masonry façade attuned to its setting. 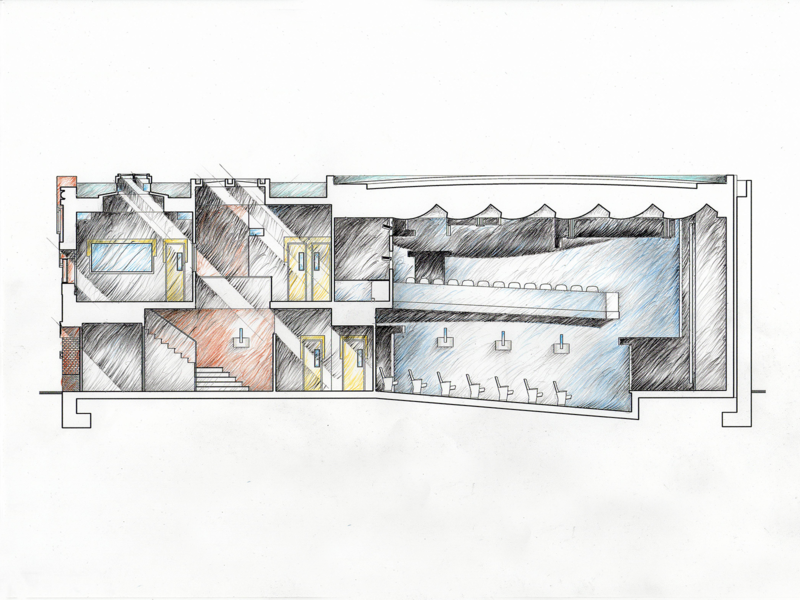 Through an integration of mechanical, structural, and material conditions, George Ranalli Architect introduced the modern design for a new theater, harmonious to both street and district. 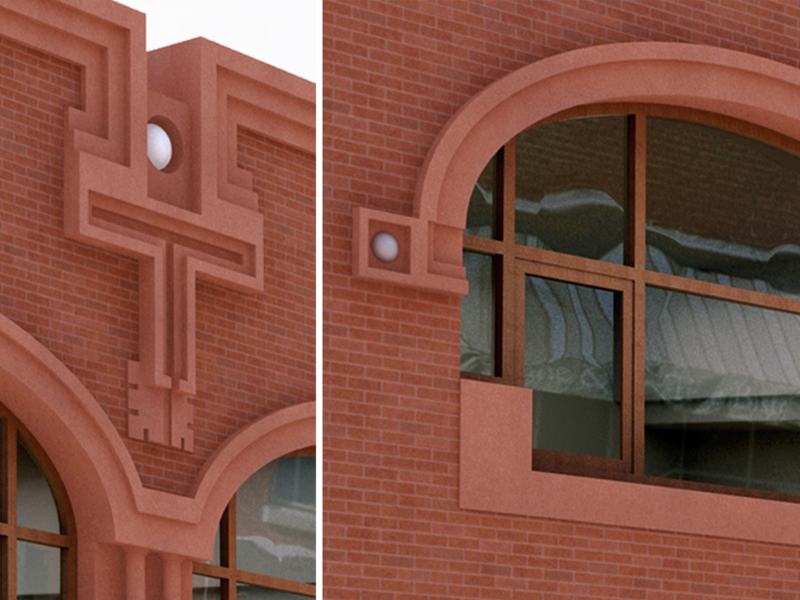 Surface adjustments to the design for a ruddy brick and masonry façade form generous arches and recessed lintels around openings for windows and doors. Sunlight conspire to illuminate the dimensionality in shade and shadow. 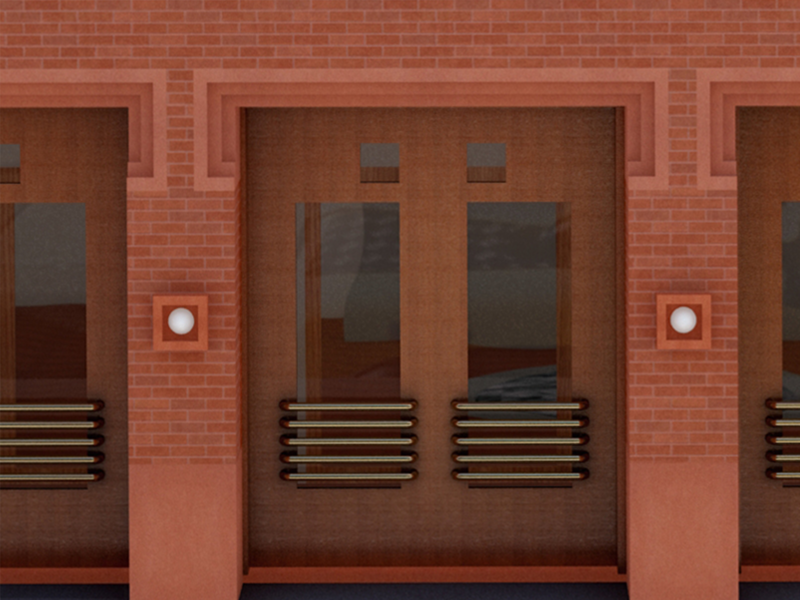 At the street level, four sets of mahogany wood framed doors, further incised with a pattern of rectilinear plate glass engages pedestrian and visitor, and other ornamental aspects of the structural elements, including a wide stone cornice, and distinctive section of recessed brick details further lends a sense of texture to the the building. 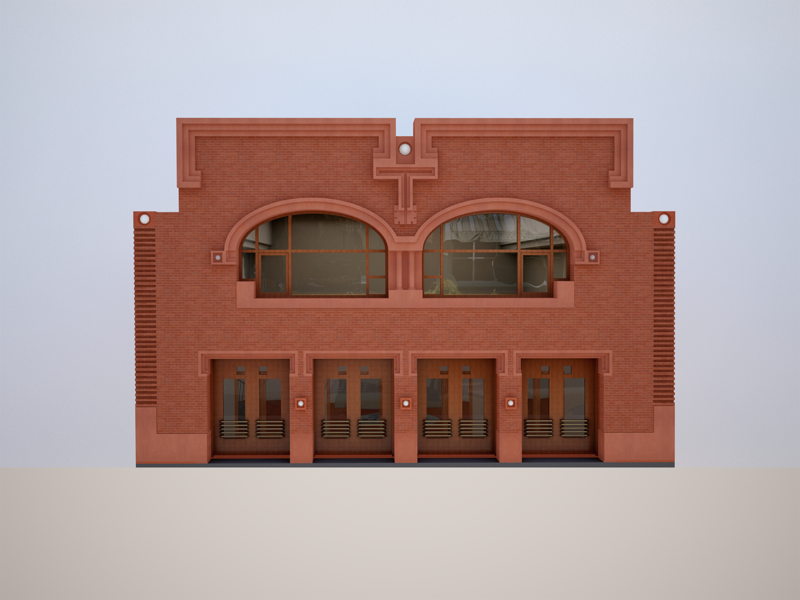 The entrance to the new theater flows through the lobby of its immediately adjoining neighboring – the historic art deco County Theater. 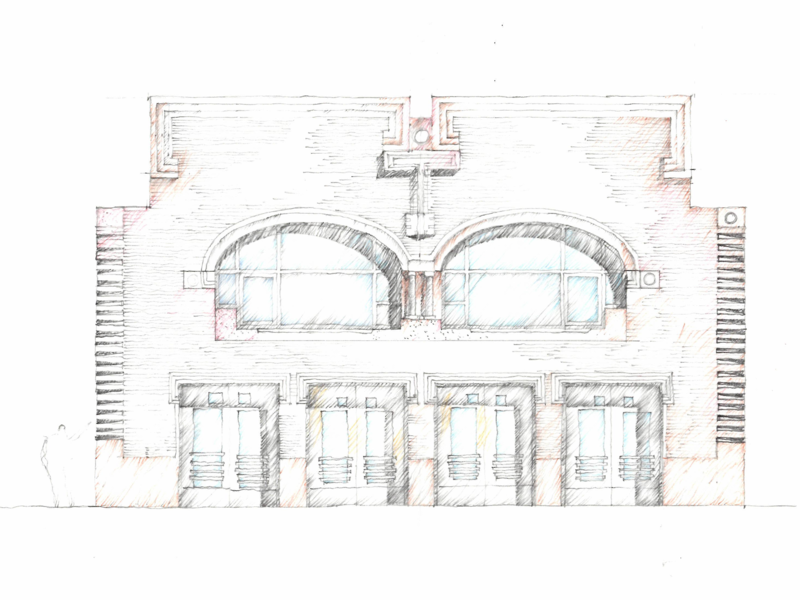 The design for the interior of the new community theater acknowledges the central vibrant art deco design, referencing its interior embellishments, in scale and composition, but at a quieter level of modern refinement. The design for a new 130-seat theater and upper-story commercial space interpret the sponsor’s programmatic aspirations and also offers a building that easy adapted to future uses.